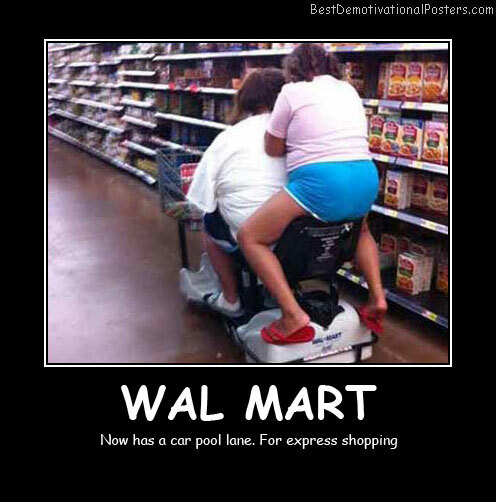 Wal Mart - Now has a car pool lane. 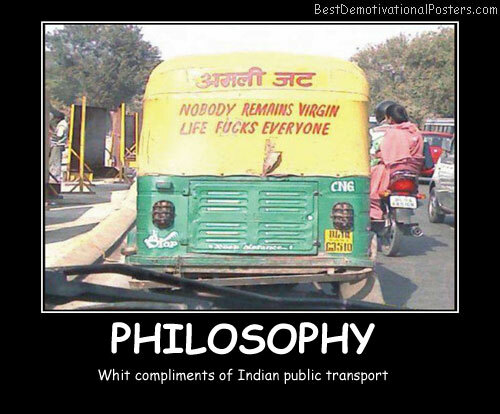 For express shopping. 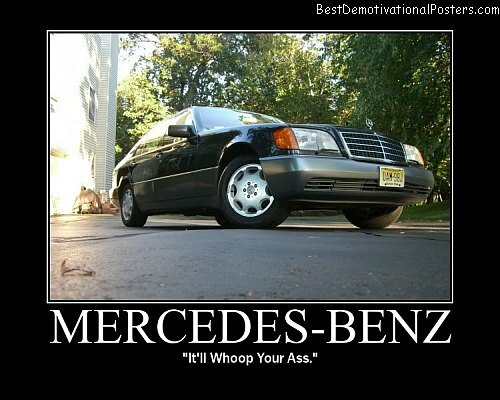 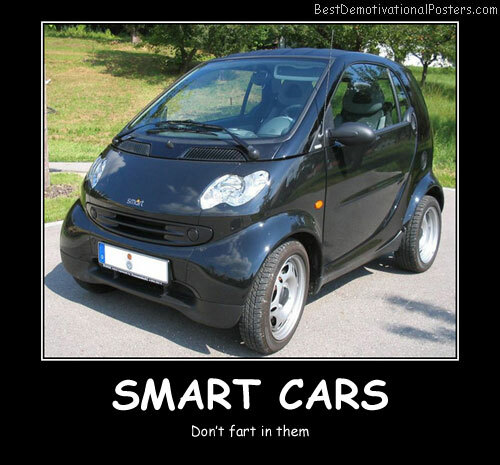 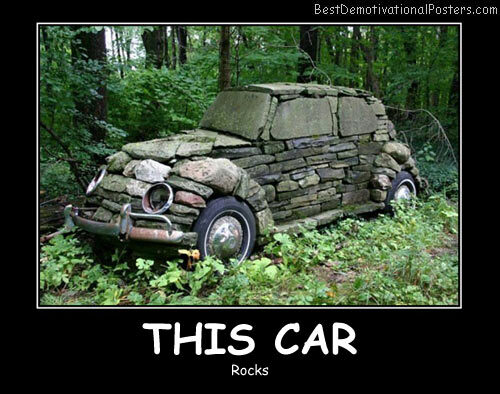 Smart Cars - Don't f@rt in them. 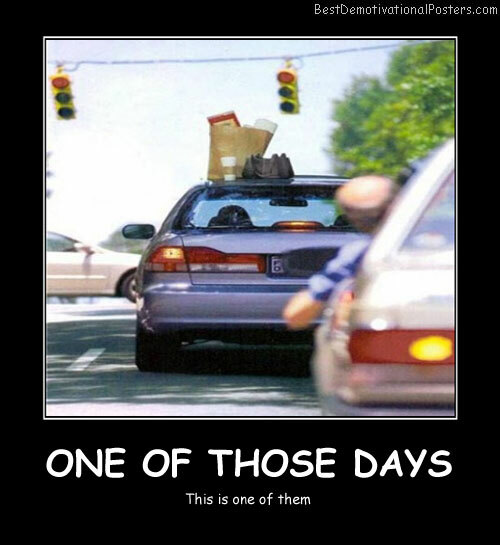 One Of Those Days - This is one of them. 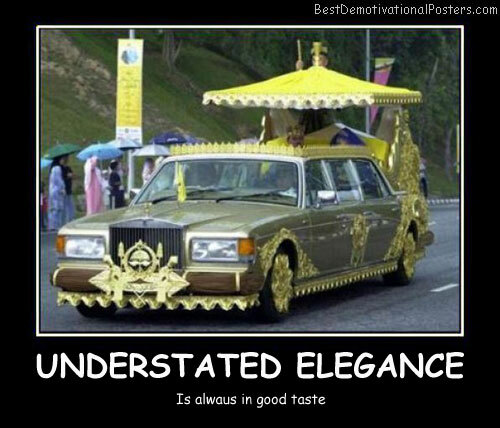 Understated Elegance - Is always in good taste. 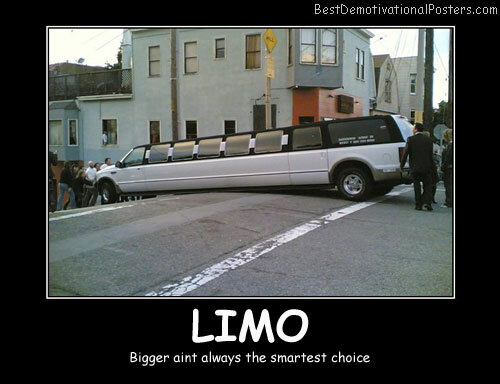 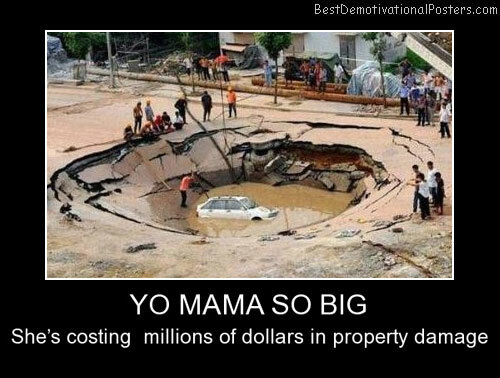 Limo - Bigger aint always the smartest choice. 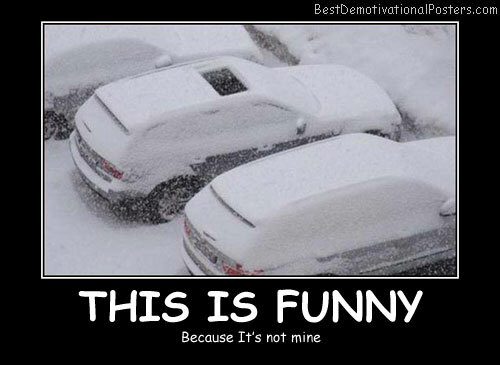 This Is Funny - Because it's not mine. 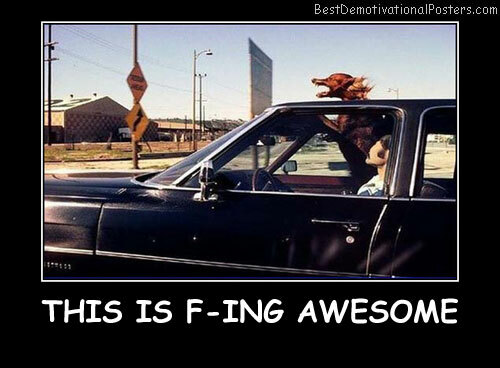 Ambitions - Mine always was to live in a Penthouse! 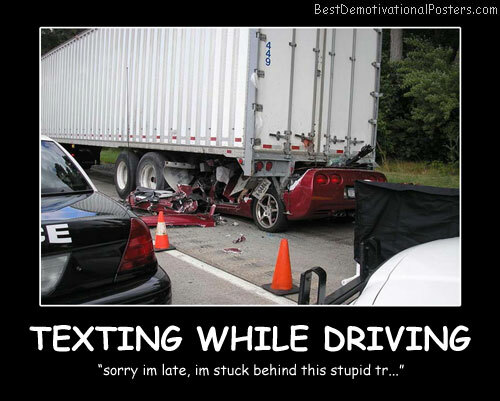 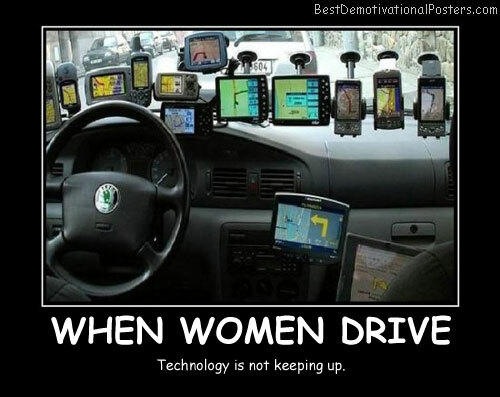 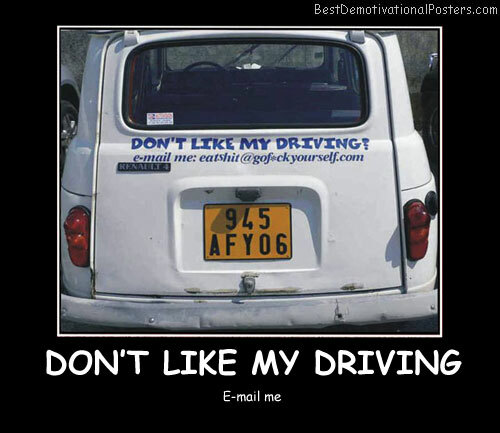 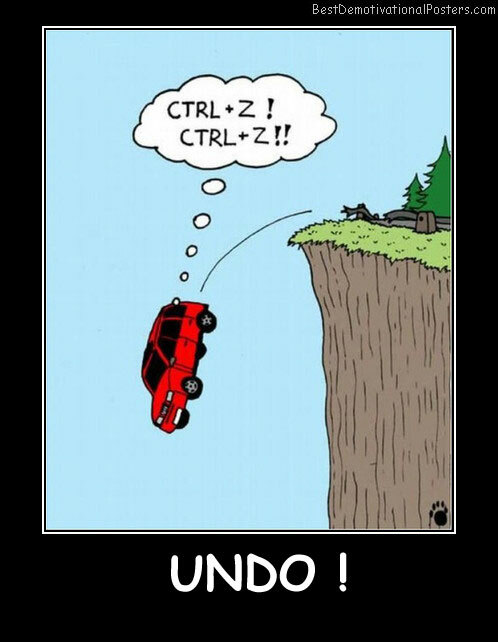 Don't Like My Driving - E-mail me. 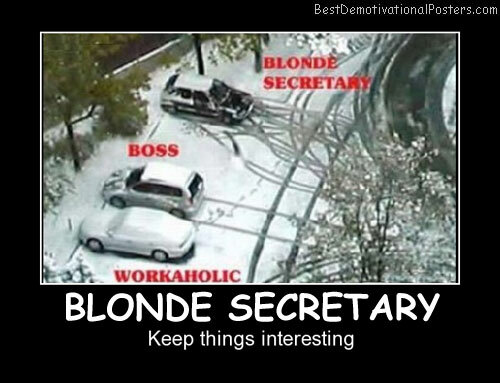 Blonde Secretary - Keep things interesting. 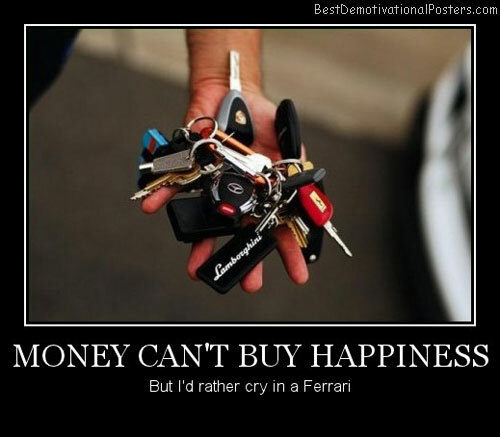 Money Can't Buy Happiness - But I'd rather cry in a Ferrari. 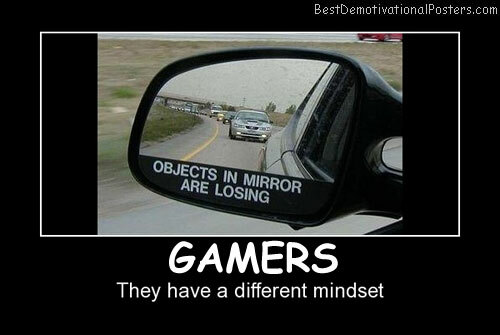 Gamers - They have a different mindset. 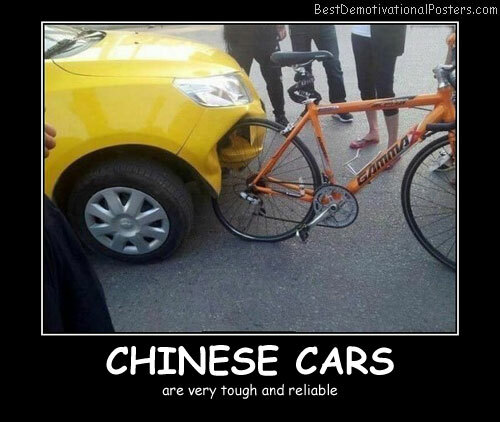 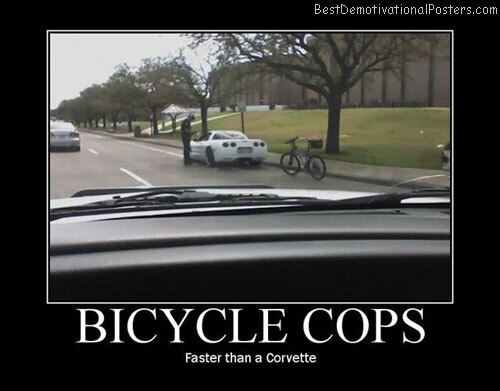 Bicycle Cops - Faster than a Corvette. 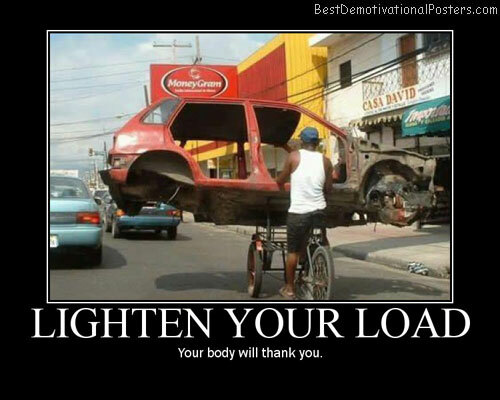 Lighten Your Load - Your body will thank you. 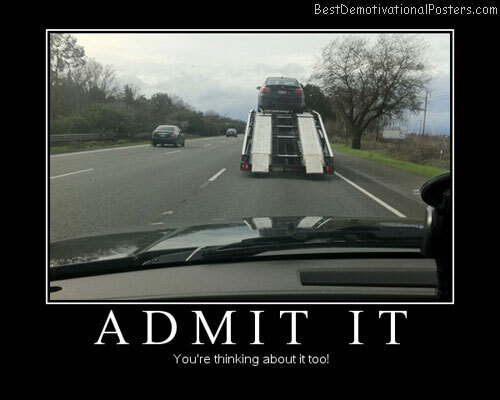 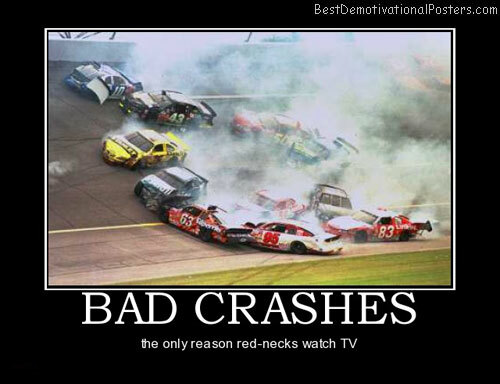 Admit It - You're thinking about it too! 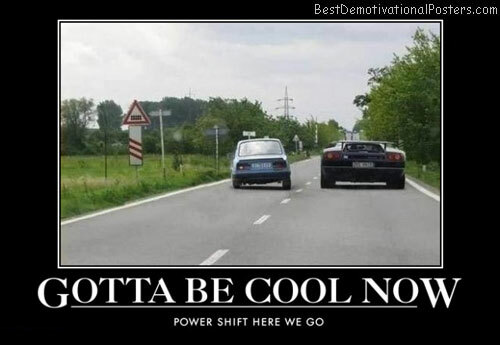 Gotta Be Cool Now - Power shift here we go.